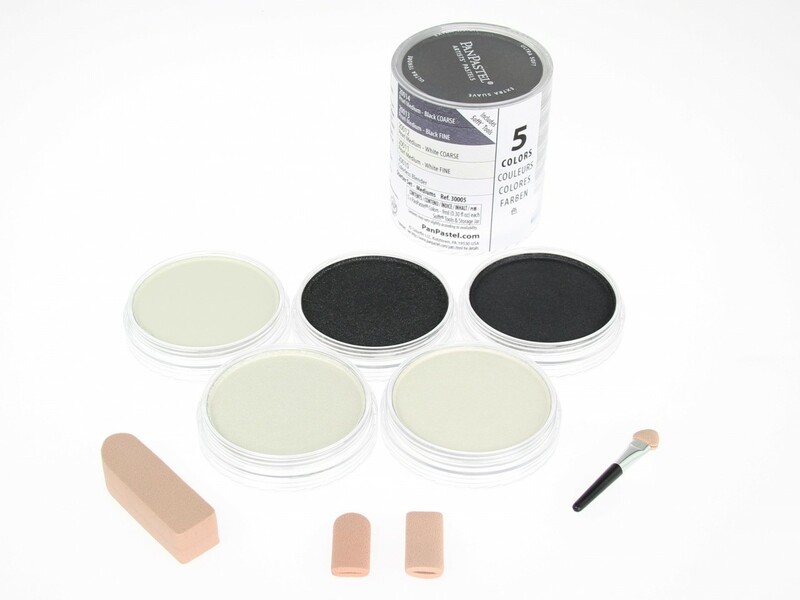 This set contains 4 pearl mediums, White Fine, White Coarse, Black Fine, Black Coarse and a Colourless Blender. There is also a small selection of tools housed in a handy interlocking storage compartment in this set. Click the button below to add the PanPastels Mediums Set of 5 to your wish list.